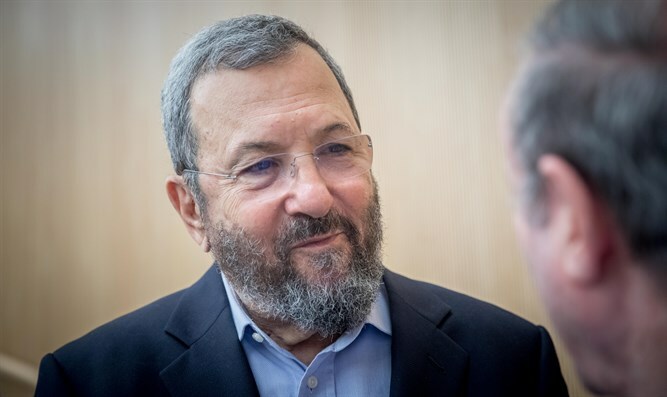 MainAll NewsInside IsraelIs Ehud Barak on his way back to the Knesset? Former PM to lead Zionist Union's 'security cadre'; is expected to given guaranteed position on Knesset slate for next election. Former Prime Minister Ehud Barak may be preparing for a return to politics, four-and-a-half years after he stepped down as Defense Minister and left the Knesset, Israel Hayom reported on Tuesday. According to the report, Barak and Zionist Union chief Avi Gabbay have been in talks recently regarding the former Prime Minister’s return to political life and his possible inclusion in the Zionist Union’s Knesset list for the next election.